Along with a few other historic VW models. Volkswagen hasn't been building the most interesting cars as of late. 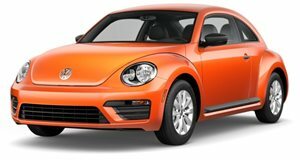 Sure, the company has taken the occasional gamble with models like the Beetle and Scirocco, but neither has been updated recently and the latter has been killed off entirely (although it in the future). We know that Volkswagen has been planning a huge pivot based around its ID Concept. There based on this new EV architecture, including the long-awaited revival of the Microbus. Luckily, the revivals may not stop there. According to a report from , VW brand boss Herbert Diess said that he would be interested in bringing back the Kubelwagon, a vehicle that was basically Germany's version of the Willys Jeep. In fact, Diess said that the new MEB (Modular Electrification Toolkit) platform would be perfect to revive a bunch of models from VW's long history. Diess specifically mentioned the Kubelwagon, which Americans may know better as the Thing, which came to the US back in 1973. The Thing was also called the Trekker in the UK, the Safari in Mexico, and the Kurierwagen in Germany. Porsche originally designed the Thing's Type 82 platform, which was originally based on the Beetle. “MEB is flexible (rear-wheel drive, front-wheel drive, all-wheel drive) and we have so many emotional concepts,” Diess said in an interview. “I don’t know if you remember the Kubelwagen. This Thing is a nice car. Then there are all the buggies, the kit cars. We have the bus. We have the various derivatives of the bus. We have so many exciting concepts in our history that we don’t have to do a Beetle.” If Diess is to be believed, we could eventually see electric versions of iconic models like the Thing and the Dune Buggy. Unfortunately, the amphibious Schwimmwagen wouldn't work with the EV platform. Interestingly, Diess didn't mention whether or not the Beetle or Scirocco would be replaced with EV models. The upcoming line of VW EV models sounds exciting, and we can't wait to see what the brand has in store.